Over the last few years, the Avaza team has been helping you transform and streamline your business operations. 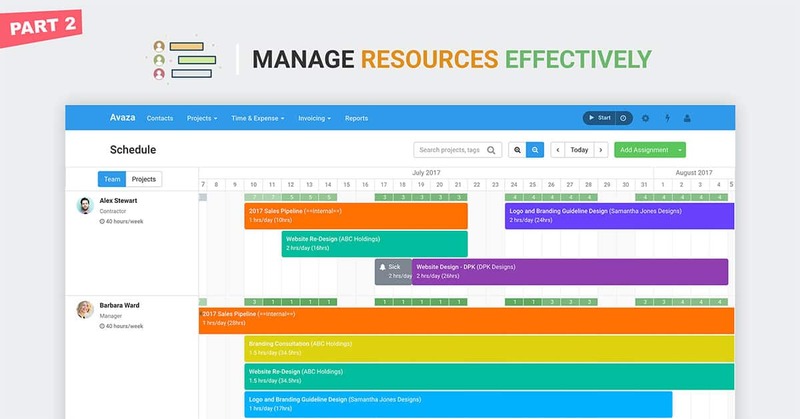 We’ve taken another step to help you better manage your people resources, visualize team availability and deliver successful projects by launching Project Resource Scheduling. Who is working on what, and when? Do we have the capacity to take on a new project? Do we need more team members to help complete the projects we have? What skills do we have, and what do we need more of? 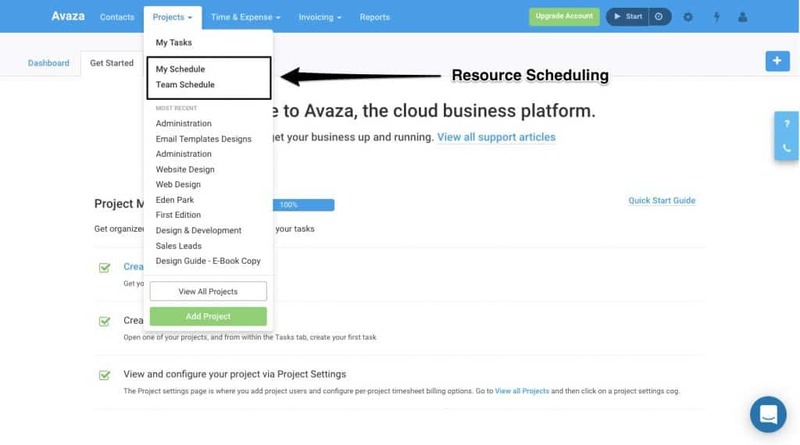 Like all features in Avaza, Project Resource Scheduling is visible to users with the appropriate roles. In Part 1 of this series, we outlined Scheduling Settings. Here in Part 2 of the Resource Scheduling blog series, we dive into the scheduling screens for Schedule Users and Schedule Managers. Read Part 3 | Part 4 here. Figure: Access Resource Scheduling from Projects Menu. My Schedule: Visible to all users with the Scheduling User role. Team Schedule: Visible to all users with the Admin or Scheduling Manager role. Scheduling Managers can view team members and projects they are responsible for on the Team Schedule page, as well as create new assignments, leave and edit existing entries. Use drag & drop on existing assignments to change the user or project on the assignment, as well as adjust its start and end date. 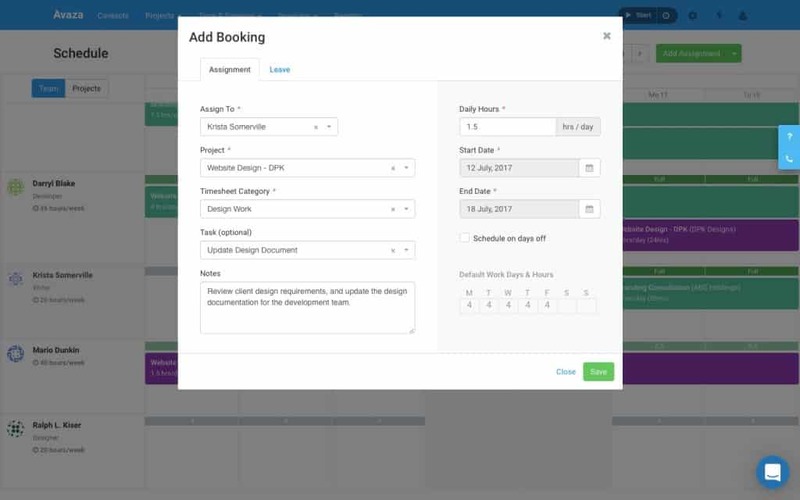 With Resource Scheduling, you can accurately assign team members assignments on projects, view their daily availability as well as upcoming days off. Switch between Team and Project view to better understand resource allocation. 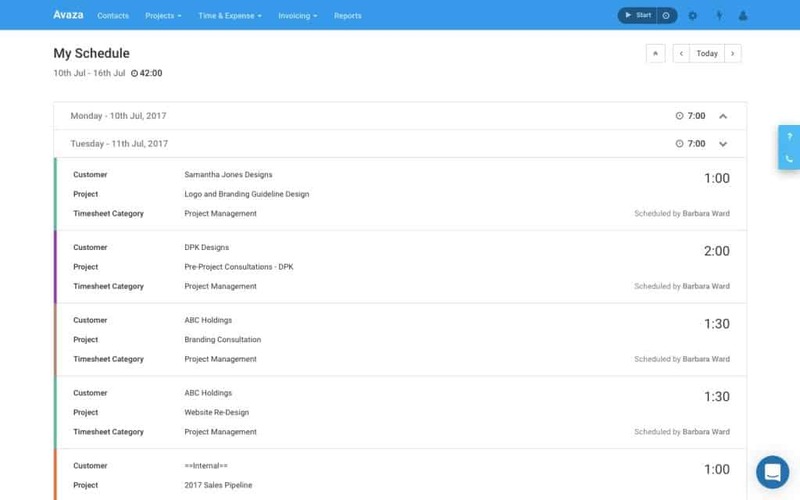 When viewing Team Schedule by User, you can see all Scheduling Users for your Projects, their daily availability and assignments or leave allocated to them. 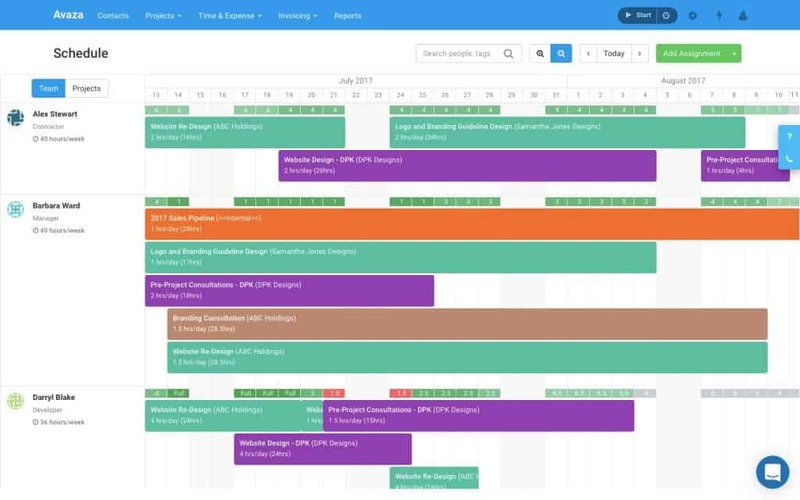 When viewing Team Schedule by Project, you can see all your projects and Scheduling Users assigned to them over time. On either view, you can change the zoom-level, based on how much visibility you need. The default view is Zoomed In, showing 7 days, but you can Zoom Out to view an entire month. Search for users, projects, user tags, customers or project tags and view only relevant resources and projects as needed. For example, finding all the people tagged with relevant skills/location to take on a new project. Schedule users to a project or book leave for them by using the Add Assignment/Add Leave button. While adding user assignments, you will be required to select a User, Project, Timesheet Category, and Daily Hours for a Start and End Date range. You can choose to optionally include a Task, Notes and select if the schedule should also apply to days off. Notice the scheduling user’s default weekly availability is also displayed for reference. Adding Leave for team members updates their daily availability for those days, allowing you to accurately plan your human resources based on each team member’s availability. When adding a Leave, select the user’s name, Leave Type, Daily Hours, Start & End date rate. You can also optionally enter Notes. 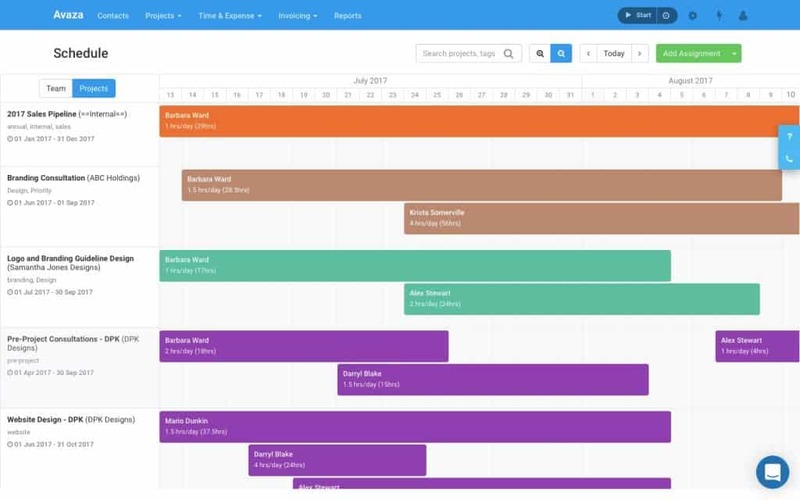 The My Schedule View, visible to Schedule Users, shows their project and leave assignments. This view is available on all devices. The My Schedule page displays Assignments and Leave by week, and you can expand/collapse each day to view assignments in context, as well as see who last updated the booking. We hope you’re enjoying Resource Scheduling so far! Part III of this series will include all updates to our reports, so stay tuned! Hi! great expected feature. Kepp on with your work. 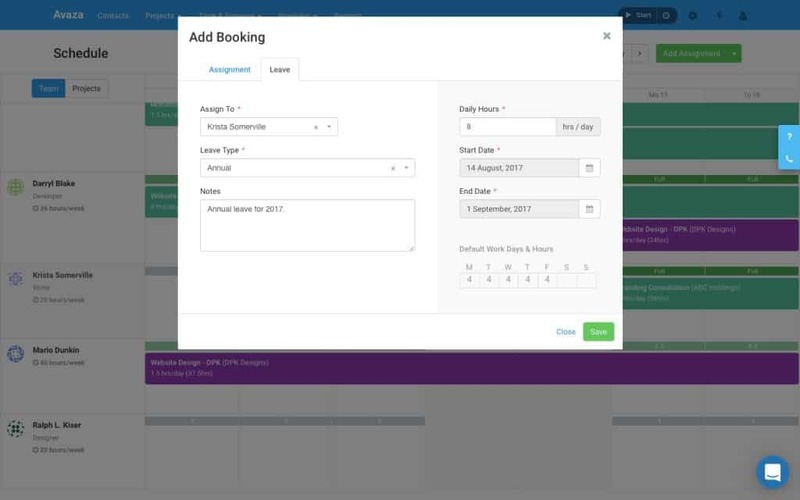 Adding leave booking feature are employees allowed to use avaza to request their manager for leave approval? How are you imagining this workflow? With Resource Scheduling, Scheduling Managers can account for a user’s leave while resource planning. For now, the user’s cannot enter the leave themselves, but we have recorded your request for a approval workflow for leave management as well. Will the scheduling feature and the task features ever be related/integrated in some way? For example, it would be great to be able to schedule the work when you create a task and estimate its hours AND it would be great when scheduling a task to be able to see the estimated and remaining hours as well as the due date for that task on the scheduling screen, so you know how much to schedule. Thanks for putting together this post on effective resource management project.It is a great read. I particularly find your thoughts about accessing project resource scheduling interesting. I second the request to be able to add start/end times to daily assignments. Without this option, schedule is not very useful when assignments are time-sensitive or there are meetings planned.